The Pieta was created by Michelangelo in 1498 and it was requested by a French Cardinal to decorate his tomb. 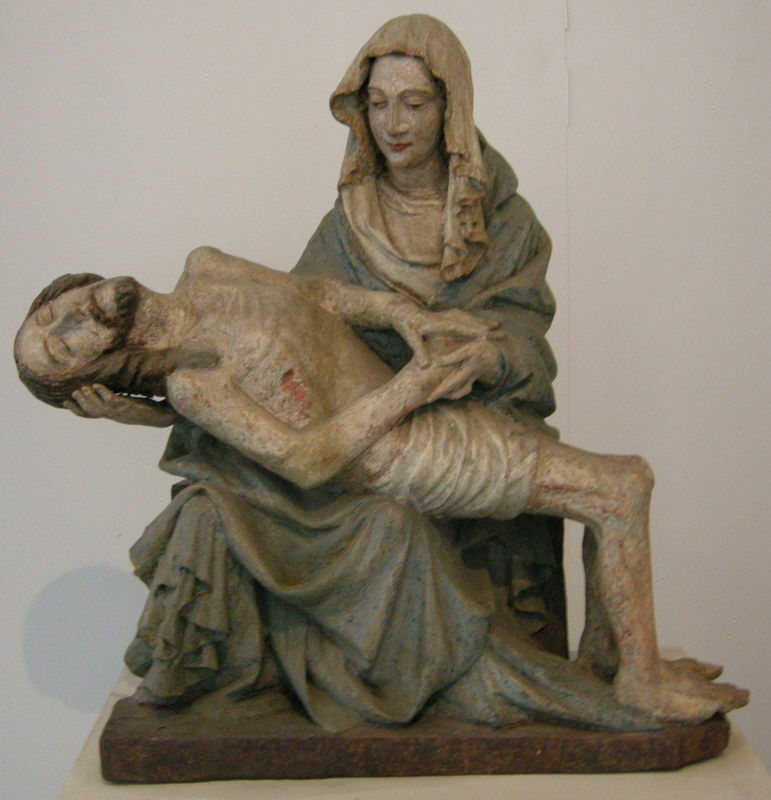 During this time the Pieta was a Gothic piece that was primarily famous in France and Germany, but not Italy. Nonetheless, Michelangelo accepted the commission and made his first trip to Cararra to find the best quality marble. Michelangelo was a highly religious man who primarily worked for the Catholic church. He therefore believed in piety and the sin of lust. In his Pieta Mary is seen as a youthful figure cradling her adult son. When asked why he had sculpted the face of Mary as a young girl Michelangelo replied that Mary had not aged because she was free from desire. According to Michelangelo's theory chaste, virgin women would not have the sins of their lives etched onto their faces. Rather they would remain pure and youthful forever. Furthermore in Michelangelo's work, Mary is a large figure who is easily able to hold an adult Jesus in her arms and this inversion of sizes was a commonly used tool during the High Renaissance. It allowed Michelangelo to balance his art and give Mary equal standing to Jesus in the sculpture. After Michelangelo had created the Pieta he overhead a group of men give credit to another man for the work. In a fit of ill-humor Michelangelo chiseled his name into the sculpture. He soon regretted his fit of jealous pride and for this reason Pieta is the only work that Michelangelo ever signed. Although Pieta was originally intended for Cardinal Jean de Billhereshis' funeral monument, it was eventually moved to its current resting place in St Peter's Basilica and it remains one of Michelangelo's most famous works of art. Michelangelo was a pious man who worked primarily for the church and therefore the vast majority of his art was inspired by religious themes. Pieta is a moving piece that was inspired by Michelangelo's deep faith. There were many pietas in German and French art because the theme of Mary cradling Jesus originated in this area. However Michelangelo's Pieta is unique in that he mixed Gothic subject matter with Renaissance ideologies. 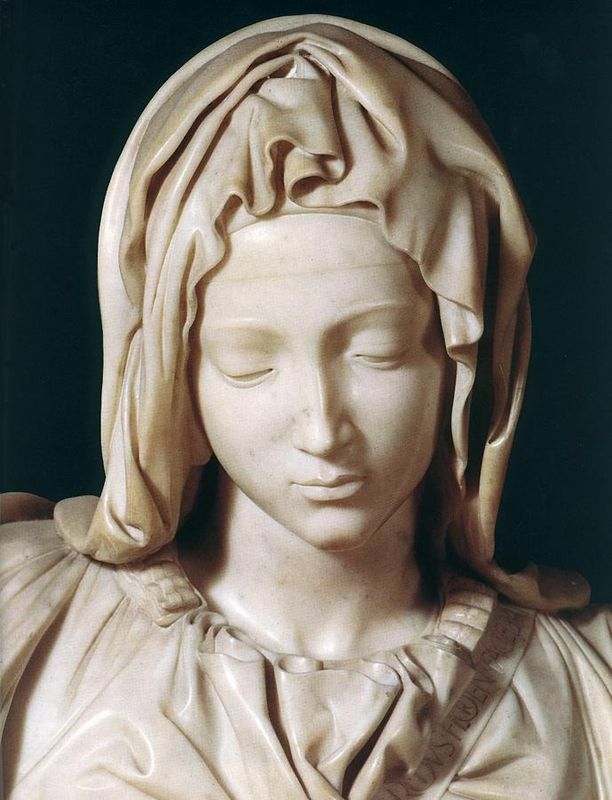 Inspired by naturalism, Michelangelo still utilized classic beauty in his sculpture and that is why Mary has the youthful features of her younger self. Additionally, Michelangelo believed that chaste women did not age, and of course Mary was a virgin. Michelangelo also had a great liking for Dante's Divine Commedia, in which the author says that because Jesus is a part of the Holy Trinity, Mary is technically his daughter. Thus the artist was inspired by Dante to create his Mary as a beautiful, young figure who had not only carried Jesus, but was also his child. Mary is sat swathed in robes and cradling a lifeless Jesus. His head is flopped back against her shoulder and his legs are supported by his mother's arms. Set after the time when Jesus had been crucified, the two figures are disproportionately sized. Mary is extremely large in comparison to the muscular yet small figure of Jesus. Mary has the features of a beautiful young lady rather than the mother of a fully grown man. Michelangelo's sculpture is in a pyramid shape. The top of Mary's head is small before the sculpture expands out to Mary's wide legs, which are covered in a large amount of material. Her head is out of proportion to the rest of her body. She has a small, delicate face with pretty features. The reason that Mary and Jesus are out of proportion is because of the technical difficulties of having a woman cradle a fully grown man. This disproportionate use of sizing was common in Renaissance art and thus Michelangelo's Pieta was not considered bizarre. The religious theme of Michelangelo's Pieta is in keeping with the rest of hsi ouevre. 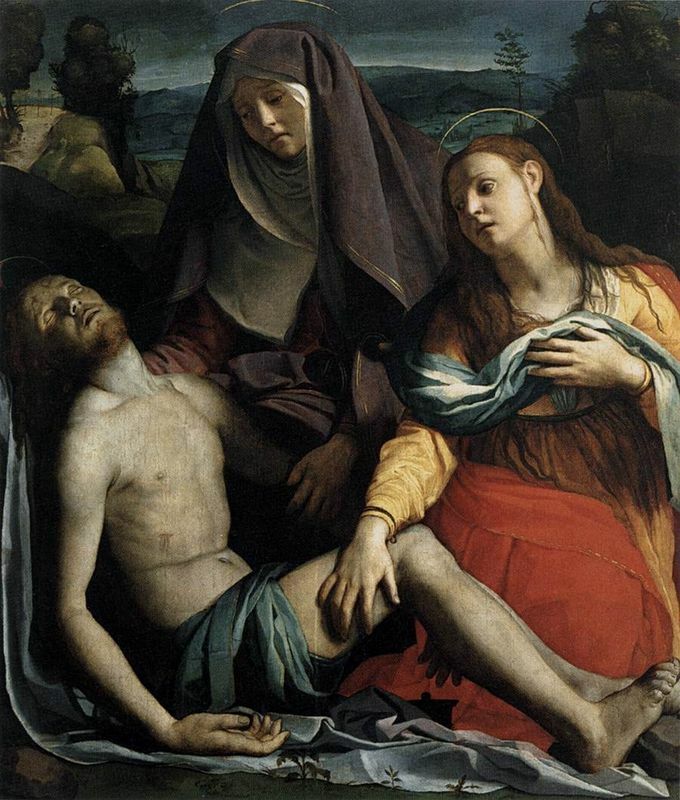 Furthermore the sorrowful tone of the Pieta evokes pity in the viewer. Michelangelo was commissioned to create the Pieta by a French Cardinal when he was a relatively unknown artist and this Gothic theme was not well-known in Italy at the time. A group of Lombard men who came across the work declared that the masterpiece had clearly been produced by a fellow Lombard. Overhearing this with disgust, Michelangelo later return to the the work and inscribed onto the marble 'Michelangelo created this'. After Michelangelo passed away his reputation as one of the greatest Renaissance masters only continued to grow. 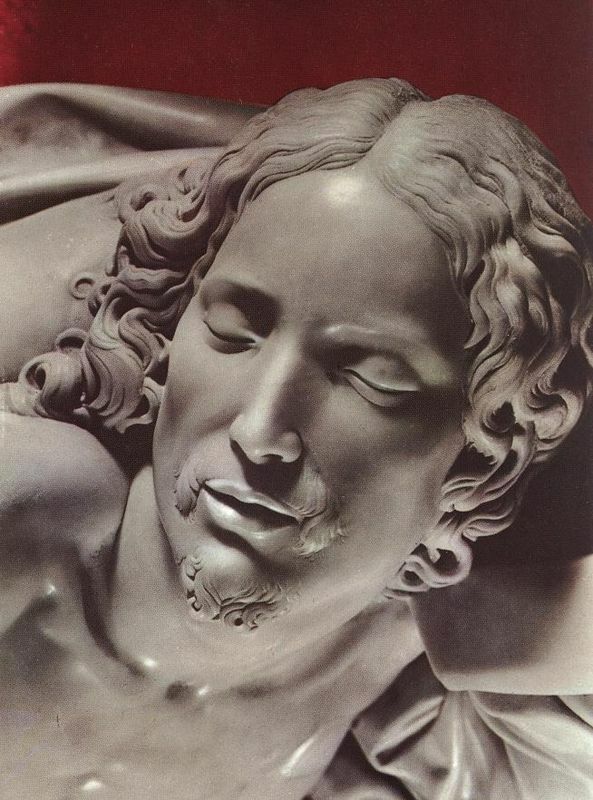 For many centuries people considered him to be one of the greatest sculptures, painters and architects of all time. 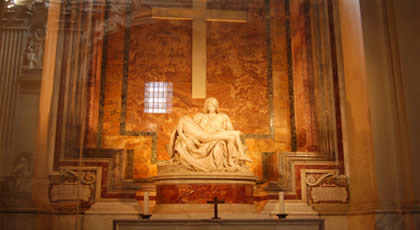 Today Michelangelo's Pieta can be found in one of the corners of St. Peter's Basilica. It is often said to be one of his most finished works, having been highly polished after he sculpted it. 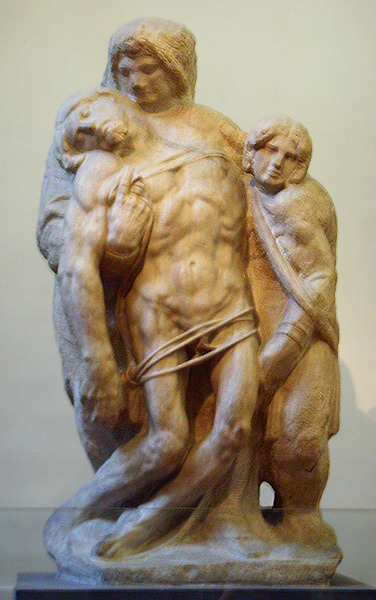 The Palestrina Pieta is a sculpture that was originally thought to have been produced by Michelangelo around 1550. However art critics are now skeptical about who created the sculpture and no longer believe that it was Michelangelo. Made of marble the sculpture reveals the deceased body of Jesus being supported by two figures. One of them is holding Jesus under his arm and looking down at his face, whille the other is a smaller figure looking up at the lifeless Jesus, whose legs appear to be wrapped in a twine. This sculpture differs from Michelangelo's because Jesus is being held in an upright position. 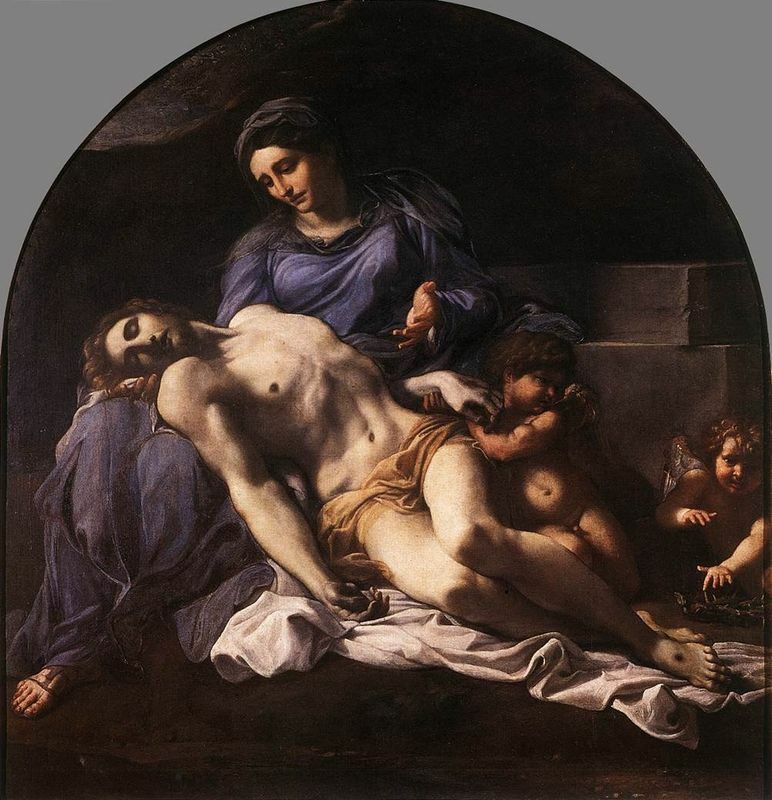 Whereas Mary has Jesus draped across her legs, here the dead figure is being supported under his arms. This sculpture is a little dilapidated in comparison to Michelangelo's but the sculpture is the same, with Mary cradling a lifeless Jesus in her arms. Furthermore Jesus and the Mary are disproportionately sized. However this is a wooden sculpture that has been painted. Consequently it is a colorful piece that closely portrays the saddened facial expression of the Virgin Mary. The piece is perceived by many to be highly indicative of the type of Pieta's that were being produced in Northern Europe during this time. When Michelangelo was asked to create the Pieta neither he nor his subject matter were well-known in Italy. However he accepted the commission for the Gothic sculpture and set to work producing the sculpture for the Cardinal's tomb. The highly polished and finished work is now considered one of Michelangelo's greatest scultpures and indeed works of art. Produced before Michelangelo had the respect that he garnered during the height of his career the Pieta was nevertheless favorably received when it was first displayed. Moreover, respect for the work has not diminished over time, and Pieta is now joyously viewed by millions of visitors each year in Vatican City. 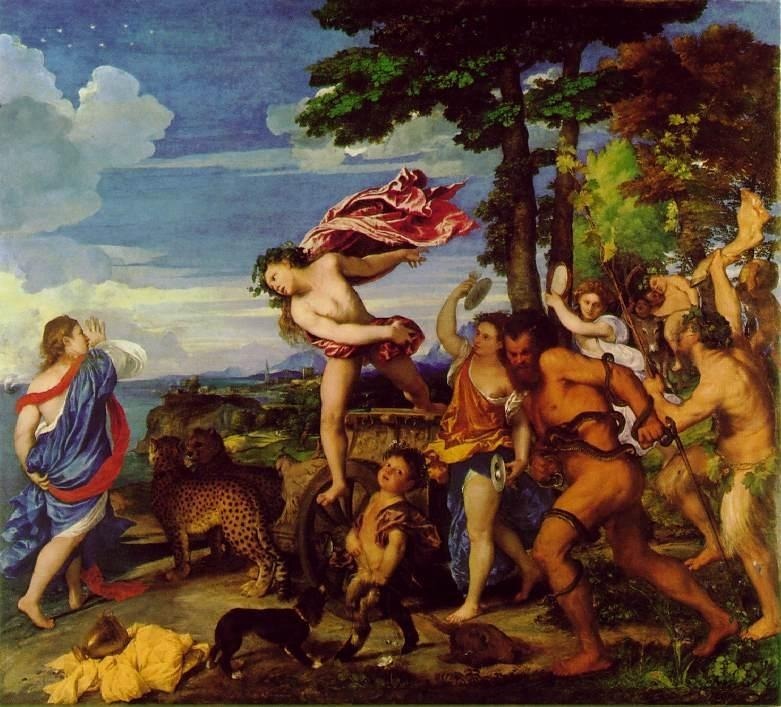 The High Renaissance was a time when a great deal of art was produced by many different people. There was a return to the Greek and Roman Classic art styles and artists embraced Naturalism. During this period Renaissance masters like Michelangelo were working as painters, architects and sculptors. Michelangelo also served to lay the foundations of Mannerism. The elongated forms that appeared during his later works were highly indicative of the types of pieces that were produced during the Mannerist movement.